Universal Pictures has needed a win for a while now. 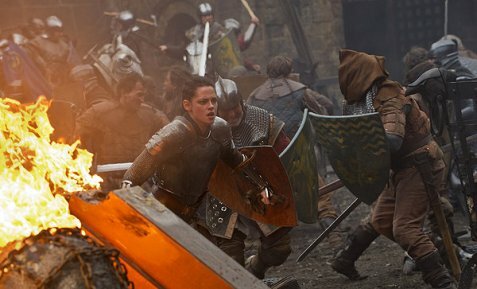 Following the disappointing flops of “Battleship” and “The Five-Year Engagement,” the studio had a lot riding on its newest release, “Snow White and the Huntsman,” especially considering the film’s $170 million production costs. Luckily for Universal, “Snow White” grabbed a better-than-expected $56 million in its first weekend, placing it on top of the domestic box office charts. The film’s success was a great surprise given the multitude of concerns surrounding it. Many worried it would only pique the interest of young females, but with such a high budget the film could hardly afford to attract such skewed demographics. In the end, such concerns seem unfounded as 52 percent of the audience was over 30 and a relatively low 53 percent was female. Similar fears about the film’s ability to compete with well-established franchises were likewise assuaged. Despite being director Rupert Sanders’ first feature film and its non-sequel status, “Snow White” made more than “Men in Black 3” did in its first week. But every time you get to thinking Hollywood’s fascination with the idea that sequels are sure bets might be over you read information like this: a sequel to “Snow White and the Huntsman” is alreadyin active development. The domestic box office remained largely static behind the number one spot as “Men in Black 3,” “The Avengers,” “Battleship,” and “The Dictator” each took a step back but remained in the same order. The $29.3 million made by “Men in Black 3” this weekend seems particularly strong when it’s considered that its 10-day total of $112.3 million is only slightly behind the $115.6 million “Men in Black 2” made over the same period. Meanwhile, there was some shuffling around behind the top five, as “Chernobyl Diaries” fell to the ninth spot while “Dark Shadows” and “The Best Exotic Marigold Hotel,” which were in sixth and eighth place last weekend, respectively, switched positions. The feel-good “Hotel” has risen every week as it appears in more and more theaters. At the specialty box office, Wes Anderson’s “Moonrise Kingdom” had continued success in it second week. The film grossed $848,681 despite being shown in just 16 theaters, giving it an impressive per-location average of $53,043 and raising its cumulative domestic gross to $1.7 million. Lastly, “The Hunger Games” finally slipped out of the top 10 in its eleventh week. The film took in $1.5 million, placing it just behind the $1.8 million made by “For Greater Glory” in its first week. 1. Snow White and the Huntsman, 1/3,773, Universal, $56.255 million. 2. 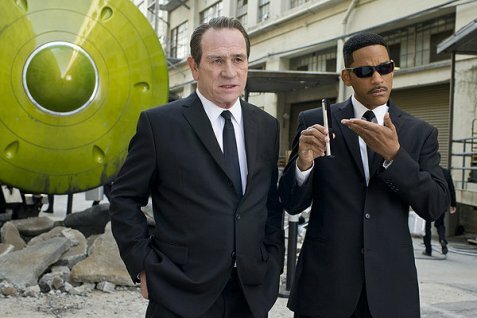 Men in Black 3, 2/4,248, Sony, $29,3 million, $112.3 million. 3. The Avengers, 5/3,670, Disney/Marvel Studios, $20.273 million, $552.737 million. 4. Battleship, 3/3,144, Universal/Hasbro, $4.81 million, $55.123 million. 5. The Dictator, 3/2,649, Paramount, $4.725 million, $50.835 million. 6. The Best Exotic Marigold Hotel, 5/1,294, Fox Searchlight, $4.6 million, $25.497 million. 8. Dark Shadows, 4/3,002, Warner Bros., $3.86 million, $70.834 million. 9. Chernobyl Diaries, 2/2,433, Warner Bros., $3.045 million, 14.416. 10. For Greater Glory, 1/757, Arc Entertainment, $1.8 million. Given its tremendous success, “The Avengers” isn’t leaving a whole lot of cash for its competitors. Coming in second place with $25.3 million was Universal Studios’ “Battleship.” That figure is especially disappointing for the film’s financiers given the $209 million it cost to produce. I for one am still having trouble wrapping my head around the idea of an alien and explosion-packed action movie based on a freaking board game, and apparently I’m not alone. 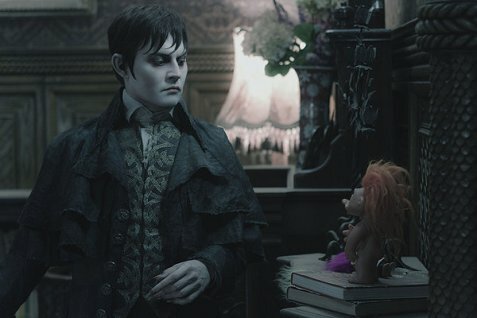 “Dark Shadows,” the most recent collaboration between Johnny Depp and Tim Burton, continued to underperform. The film took in $12.7 million in its second weekend, bringing its ten-day total to just under $51 million, another disappointing figure given its $150 million budget. Perhaps most surprising was the $3.25 million made by “The Best Exotic Marigold Hotel” despite playing in only 354 theaters nationwide. That’s a per-theater average of $18,258, which tops even “The Avengers'” $12,958. 2. Battleship, 1/3,690, Universal/Hasbro, $25.3 million. 3. The Dictator, 1/3,008, Paramount, $17.4 million, $24.5 million. 4. Dark Shadows, 2/3,755, Warner Bros., $12.8 million, $50.9 million. 5. What to Expect When You’re Expecting, 1/3,021, $10.5 million. 6. The Best Exotic Marigold Hotel, 3/354, Fox Searchlight, $3.3 million, $8.2 million. 7. The Hunger Games, 9/2,064, Lionsgate, $3 million, $391.6 million. 8. Think Like a Man, 5/1,722, Sony, $2.7 million, $85.9 million. 9. The Lucky One, 5/2,839, Warner Bros., $1.8 million, $56.9 million. 10. The Pirates! Band of Misfits, 4/1,840, Sony/Aardman, $1.5 million, $25.4 million. “The Avengers‘” domestic gross dropped 50 percent this weekend. Oh well, what are you gonna do? You can’t win ’em all and other cliches. Hold on a moment, I’m receiving word from staff mathematicians that a 50 percent drop from $207 million is still over $100 million. I hereby retract my first two sentences. Oh, and for those of you that didn’t get it, the title is a pun. I like puns. Yes, “The Avengers” made a lot more money this weekend. Surprise! Last week, the film broke a whole bunch of records, it had the largest opening weekend in history, set new highs for Saturday ($69.7 million) and Sunday ($50.1 million), and had the highest ever per-theater average for a nationwide release with $46,057. It also reached $100 million, $150 million, and $200 million faster than any other movie. That trend continued this weekend, as the film had the best second weekend ever, trouncing “Avatar’s” $75.6 million, setting new highs for eight, nine, and ten-day grosses, and becoming the fastest film to reach $300 and $350 million. Last week, the top weekend market share for a single film was just about the only record “The Avengers” didn’t break. The film’s $207 million was 83.1 percent of the total weekend gross, just behind “Spider-Man 3’s” 83.3. percent. 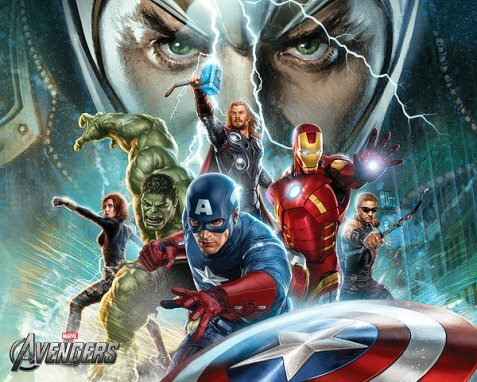 However in its second week “The Avengers” took 64 percent of the total gross, the nineteenth highest figure of all time. “Spider-Man 3” only took a measly 60.4 percent in its second week. That’s not even in the top 20. Take that Parker! 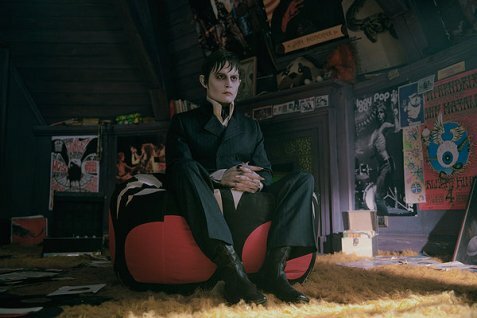 “Dark Shadows” looks especially bad when compared to the opening weekends of other recent Tim Burton/Johnny Depp collaborations. The film’s $28.8 million is less than a quarter of “Alice in Wonderland’s” $116.1 million and barely half of “Charlie and the Chocolate Factory’s” $56.2 million. Furthermore, my staff mathematicians are joking about how well those numbers work together, 29 goes into 116 four times and 28 goes into 56 twice. I told those nerds to shut up. In other news, “Think Like a Man” continues to plow forward, bringing in $6.3 million this weekend and raising its total gross to a relatively impressive $89.1 million. Likewise “The Hunger Games” made $4.4 million, bringing its total to $386.9 million. Of course, the film will inevitably yield 2012’s top spot to “The Avengers” by next weekend. 2. Dark Shadows, 1/3,755, Warner Bros., $28.8. 3. Think Like a Man, 4/2,052, Sony, $6.3 million, $81.9 million. 4. The Hunger Games, 8/2,531, Lionsgate, $4.4 million, $386.9 million. 5. The Lucky One, 4/2,839, Warner Bros., $4.1 million, $53.7 million. 6. The Pirates! Band of Misfits, 3/3,079, Sony/Aardman, $3.2 million, $23.1 million. 7. The Five-Year Engagement, Universal, 3/2,569, $3.1 million, $24.4 million. 8. The Best Exotic Marigold Hotel, 2/178, Fox Searchlight, $2.7 million, $3.7 million. 9. Chimpanzee, 4/1,559, Disney, $1.6 million, $25.6 million. 10. Girl in Progress, 1/327, $1.4 million.